Hosting a coffee event is a fun way to engage your local community, whether it’s for coffee professionals or coffee fans. However, even a simple coffee event can be a lot of work with many moving parts. 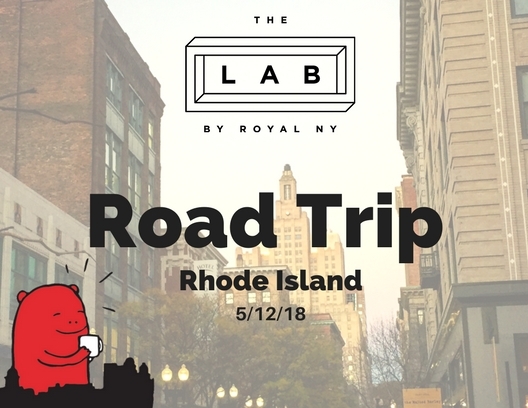 With The Lab: Road Trip happening on May 12th, we thought it would be fun to give some tips about running your own event! This simple graphic was made using a free online program called Canva. More on that below! Give yourself plenty of time for planning and advertising. It’s a good idea to have your event live 90 days before the date. It seems like a lot of time, but it’s worth it to make sure you are able to get the word out to as many people as you can. Who do you want to attend your event? Is it other industry folks, your customers who might not know a lot about coffee, or a mix of both? Depending on your answer, make sure the event caters to the audience. You could go traditional with a latte art throwdown, a little out of the box with a signature beverage competition, or something completely different that may not involve coffee at all, like a social event for local baristas and roasters to just hang out and get to know each other (bowling, anyone?) The possibilities are endless, but just make sure you have the space and supplies for more intricate events! If you've never run an event before, the classic throwdown or just a general meetup is a great place to start. Industry sponsors are a great resource. It could be your coffee or equipment providers, or other coffee companies that are in your region. They will usually donate some prizes and swag, which is fun for your attendees and also great advertising for the companies themselves! Your event can also be a great opportunity for local businesses to get some publicity. Introduce yourself to your local dairy, bakery, brewery or non alcoholic beverage company, and see if they would like to participate. Make sure to give them lots of attention in all your marketing and on the night of your event. You not only want to thank them for donating, but you also want to support them, one local business to another, so make sure they get some great exposure! The point of a coffee event isn't necessarily to make a profit. It's to bring the community together and bring in potential new customers to your shop. With that in mind, many coffee events incorporate donating to charity. It's easy to utilize sponsors and prizes to raise money. I've noticed that events that raise money for popular causes, like relief organizations after a natural disaster, animal rescues, or local community organizations, tend to be better attended because people want to donate to the cause. This latte art throwdown in Providence, R.I. asked for donations at the door, as well as hosting a raffle of awesome, high priced prizes from favorite local businesses. Check to see if your city or town has local coffee groups. For instance, in New Jersey we have instagram accounts like @NJ.Coffee.Events and @newjerseytnt who will re-post your event to the local coffee community. This is the same with larger companies. Publications like Barista Magazine will gladly post about your event for free. If your town doesn’t have a coffee community group, you could start one! Flyers, postcards, and general social media marketing is crucial to get the word out for your event, but not everyone has a marketing person on their team to create visual masterpieces. That’s okay! You can really do anything, including drawings and collages! Also check out free programs like www.canva.com or the “Studio” app to create professional looking designs. You don’t have to stick to just coffee places to advertise your events. Any food industries, especially bakeries and breweries, would probably have a similar customer base, or employees who would be interested in attending. Invite the staff and ask if you could leave a flyer or some postcards for people to grab. Also consider local universities! Some of these items can fall under the radar, but they are super important not only for the people attending the event, but also for your company and you, the organizer! First, make sure you have a timeline and overall plan for the event, including who is in charge of what. Also, think about the overall layout of your space and how you can make sure everyone, even the people way in the back, are having a good time. Projector screens and a camera can help with this: projecting the lattes in a throwdown, for example, can ensure everyone can participate. Lastly, although it's rare that something negative will happen during your event, you do want to be prepared just in case. It's a good idea to have a plan in case of an emergency, including if someone gets hurt, if your establishment becomes too crowded, or if someone is acting disorderly. I've never encountered any of these things at an event, but I have been to events where the police have shown up.... for noise complaints! The last thing to remember for a smooth event is to be courteous of your neighbors, especially if you are in a residential part of town. Make sure your event doesn't go to late. If people want to keep hanging out, have a recommendation of a restaurant or bar nearby that people can move on to! Overall, giving yourself enough time, getting the word out, and being as organized as possible will practically ensure a successful and fun event! A photo from one of Royal New York's regular Micro Lot Cupping events. These events can involve 3 to 4 cupping flights and 30+ attendees. It takes multiple people to make this event happen smoothly, but it gets easier every time and is always a success! Ana Mallozzi is the Education and Quality Specialist at The Lab. Throughout her coffee career, she's organized and executed coffee events big and small. She was the assistant director for the Mid Atlantic Northeast Coffee Conference in Providence, Rhode Island, as well as a member of the Providence Coffee Society, which ran smaller quarterly coffee events. She currently runs the instagram account @NJ.Coffee.Events.